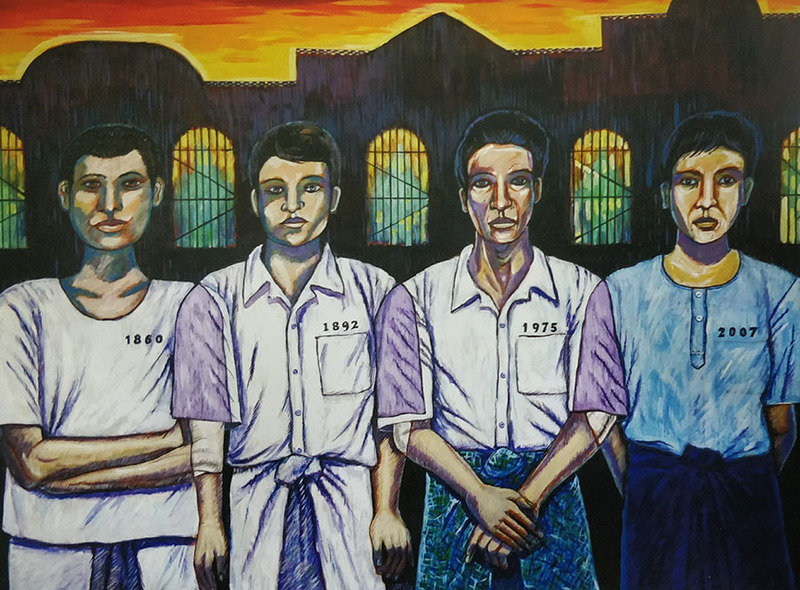 YANGON — More than four decades have passed, but artist San Minn still can’t forget the darkest days of his life, spent behind bars after he was sentenced to four years in prison for his role in the U Thant funeral crisis. When U Thant, who served as the third Secretary-General of the United Nations, died in November 1974, the government refused to hold a state funeral for the highly respected diplomat. The decision triggered a series of protests and riots in Yangon, then the country’s capital. 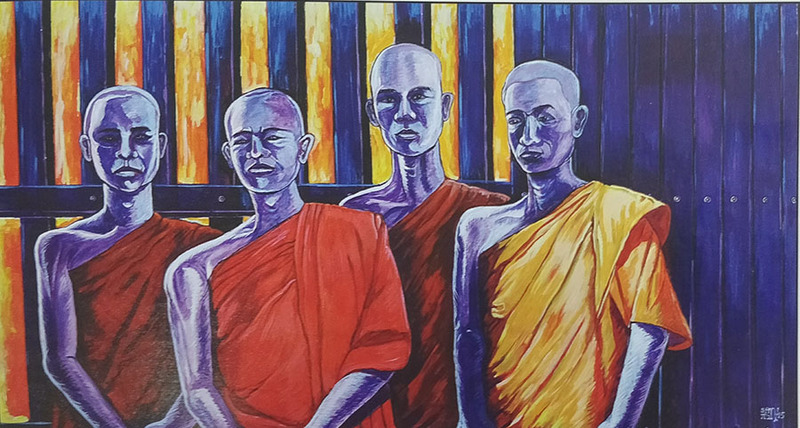 “I could never forget those experiences,” San Minn told The Irrawaddy recently. Now, he has drawn on them to create a series of paintings and installations that will be displayed June 4-9 at Lokanat Gallery. 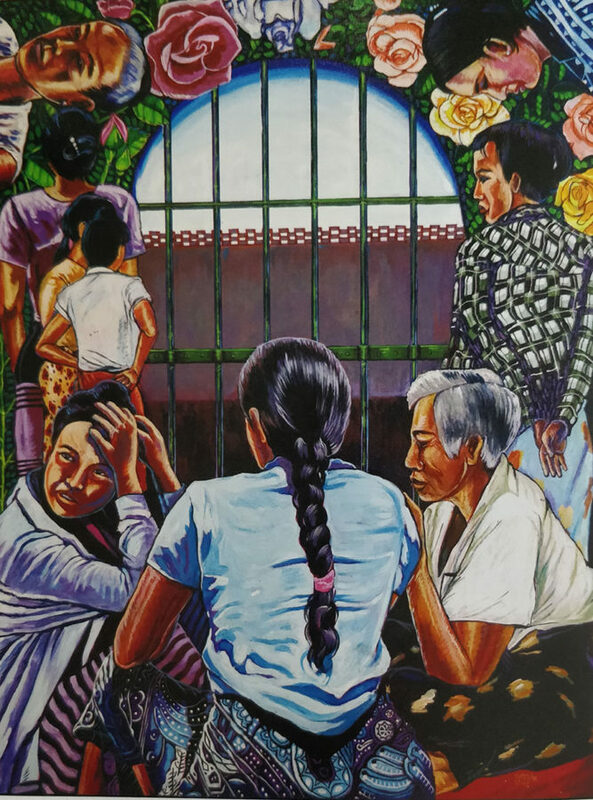 The event, his 15th solo show, is billed simply as “Prison Series.” The modernist painter is known for choosing themes that reflect the political and social affairs of the day. His work is sought after by individual collectors from the US, the Netherlands, Italy, China and Singapore, and has been purchased by museums in Japan and Singapore. San Minn’s creations are not for those looking for pleasant, decorative scenes. 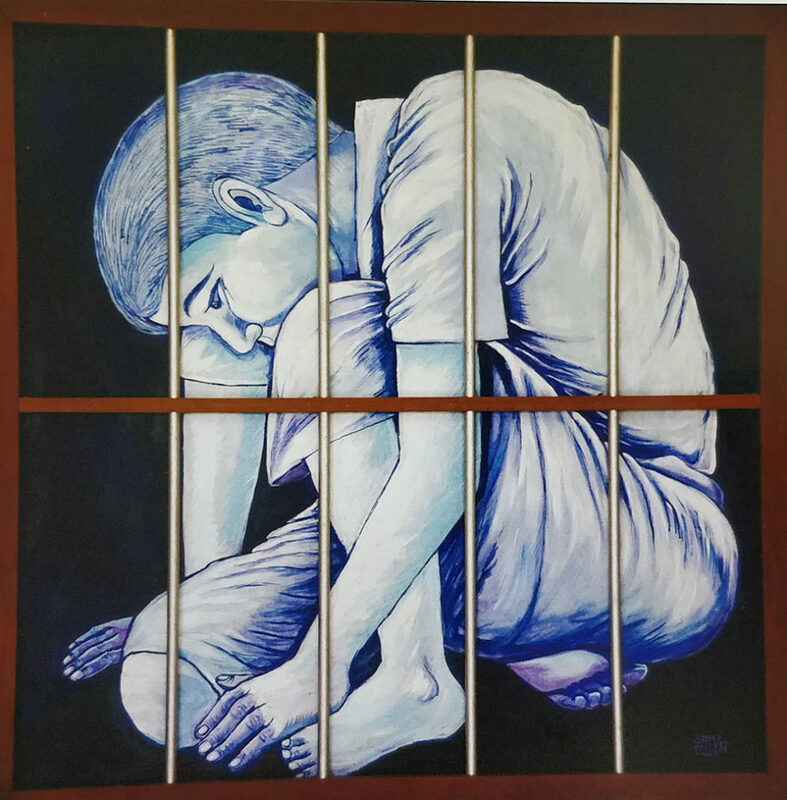 His latest paintings depict the bitterness, grievances, frustration, hardship and fear experienced by prisoners. 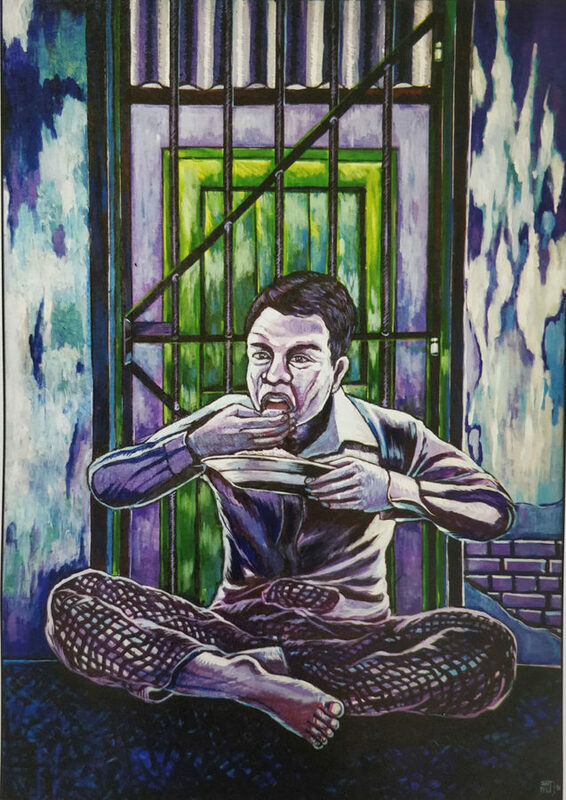 In one of his paintings, an inmate sits smoking on a shabby mat inside a dilapidated cell while a fellow inmate relieves himself nearby. 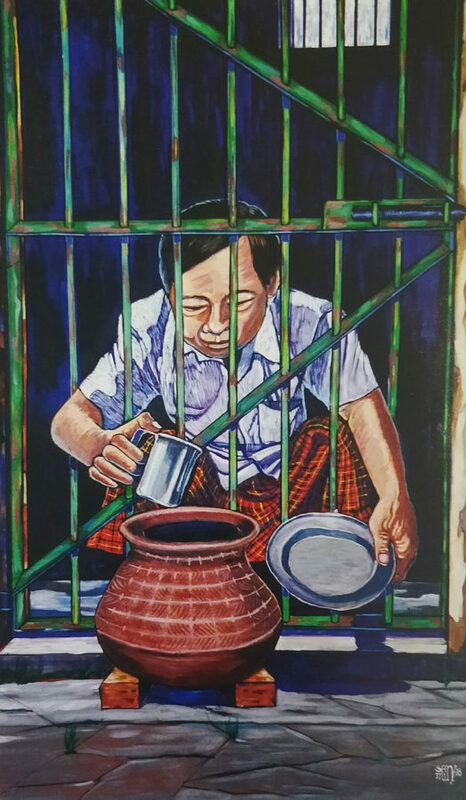 In neighboring cells, inmates eat, drink or gaze outside. Some appear to be in despair, others crying after having been tortured. 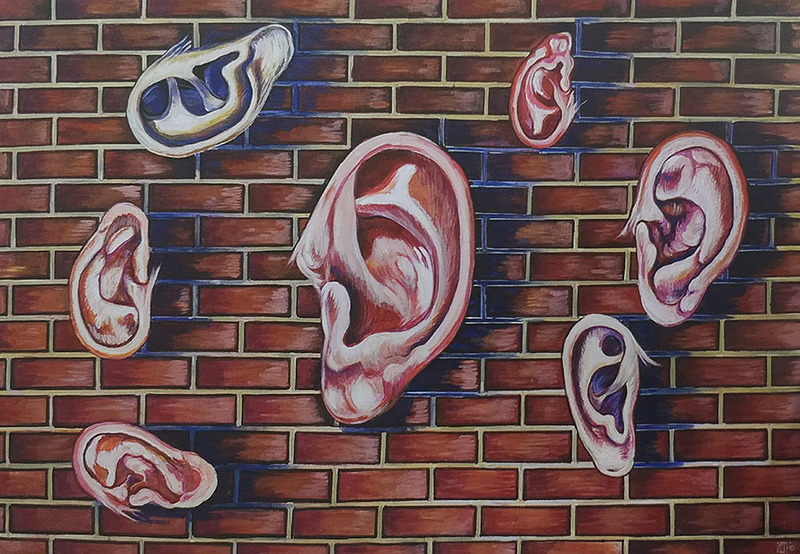 The exhibition comprises 33 paintings and five installations. 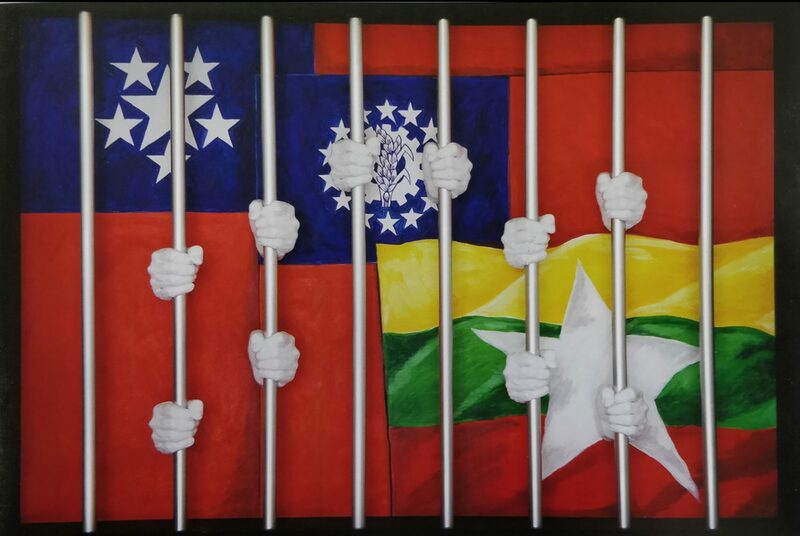 “I have long wanted to put together a prison-themed exhibition. 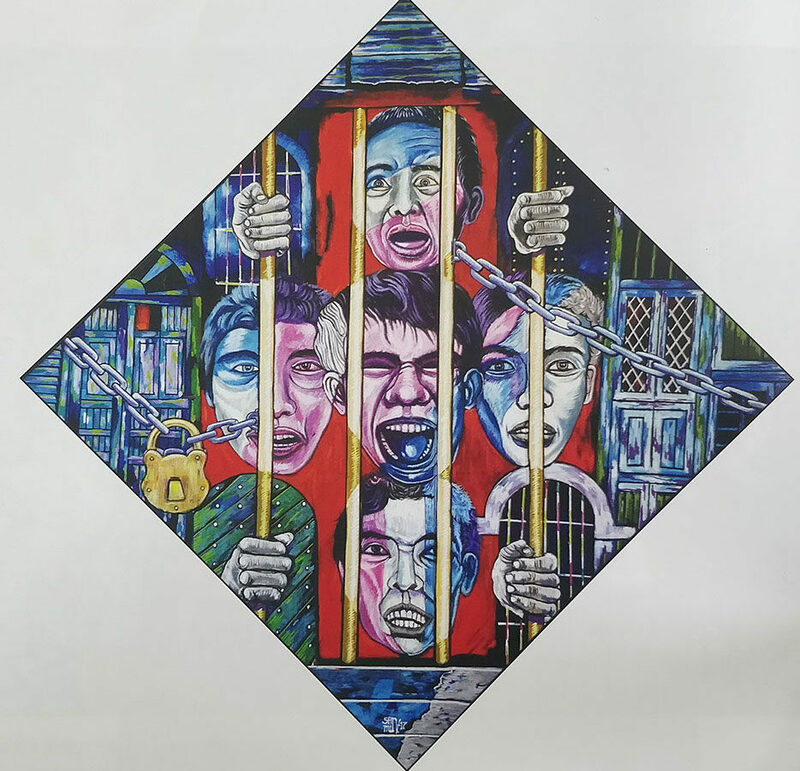 It is about the daily life of a prisoner. So I’m happy that I’ve been able to organize it,” San Minn said.